Given a choice between Auchwitz and pinball, Kevin Pilley chooses the latter, getting the chance to relive his youth and the magical feeling of the silver ball of the game. In a Gothic cellar beneath Krakow, surrounded by The Addams Family, Dirty Harry, Indiana Jones, Dr Who, Spiderman and the Creature From The Black Lagoon, as well as lots of Battys and Gottliebs, I flexed my thumbs and experienced very loud and vivid flashbacks. I relived my youth behind a squash club at the Interaktywne Muzeum Fillperow. It was either Auschwitz or pinball. But it was the flippers that got the nod. My youth tilted in favour of feeling the magic of the silver ball of the game. Krakow, the former royal capital and on the Unesco World Heritage since it began in 1978, has many museums. The National Museum contains Da Vinci’s Madonna with Ermine and many art galleries where Malczewski, Gierymski and Siemiradzi are worth seeing if not pronouncing. Krakow’s Cathedral as seen through its most famous bagel, of which 150,000 are sold daily. There is a stained-glass museum, a pharmacy museum, a museum of Japanese art, of modern art, Oscar Schindler’s Enamel Factory, the Museum of Nazi Occupation, the Ethnography Museum with its collection of Christmas Nativity cribs (Scopki), an Aviation Museum, a Poisonous Plants one and even an Insurance Museum with one of the world’s largest collection of policies. One of the newest is the Living Bagel Museum near the 800-year-old Stary Kleparz Farmers’ Market in the north of the city beyond the Plany – the inner green space and former moat fortifications around the 13th century Old Town. The Kracovian bagel, the obwarzanac, is the symbol of the city. Obwarzanac means to parboil. This stops yeast from growing and so obwarzanek can keep its shape and be soft inside and crispy on the outside,” says the curator of the museum dedicated to the snack sprinkled with sesame and poppy seeds. She gives workshops and teaches you how to roll (sulka) and braid (warcocz) your own bagel. Poland has a gingerbread and a pancake museum. Krakow’s bagel museum is just a year old. The Pinball Museum is a little older. It was once the Hop Bar. 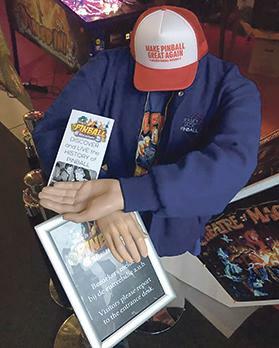 Now its customers wear ‘Make Pinball Great Again’ baseball caps. “We had 200 beers and one machine. Now we have 50 machines and one beer,” says the museum’s co-founder Makiej Olesiak. The museum is one of the most hands-on and interactive in the world. Even the most limp-wristed amateur can have a nudge, a ping and while away some time on the game field, the dead and passive bumpers. And have great fun performing chill manoeuvres, trapping and juggling amid the in-lanes and out lanes, ‘scoops’, ‘saucers’, ‘gobble holes’, spinners and ‘kickers’. And hopefully avoiding ball lock. An all-day pass costs £8. Pinball probably began at Paris’s Château de Bagatelle. Queen Marie Antoinette bet her brother-in-law, Le Comte d’Artois, to renovate the dilapidated maison de plaisance within three months. With the help of more than 800 workers, Louis XVI’s brother managed it in 63 days. A narrow, inclined billiards table on which players used cues to shoot an ivory ball towards fixed pins became billard japonais (Japanese billiards), with the cues with a coiled spring and plunger. Why Japanese no one knows. In 1869 Cincinnati-based British inventor Montague Redgrave started making tabletop pinball games and in 1871 was granted the first patent. His Parlor Bagatelle occupied the unemployed youth of Depression-era America. The table was under glass. Artists began to design eye-catching backglass graphics. Flashing electric lights and sound became standard features. Marble games or pin games (named after the metal wickets) began to appear in drugstores and taverns across the US. David Gottlieb’s 1931 BaffleBall gave the pinball craze extra momentum. Side button flippers came with the 1947 Humpty Dumpty. But, seen as a form of gambling, the games were banned and the machines destroyed. Pinball only became legal in New York in 1976, when a pinball wizard and journalist, Roger Sharpe, played in front of a city council hearing to prove that pinball was a game of skill not chance. And thus not gambling. The first game to feature the familiar dual-inward-facing-flipper design was Gottlieb’s Just 21, released in January 1950. More advanced electronics and digital displays came in the 1970s. Gottlieb’s Haunted House (1982) is another classic. Stern is perhaps the largest modern manufacturer. 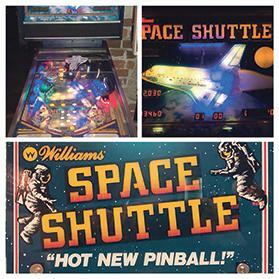 But the coin-operated video boom heralded the end of the pinball craze although pinball enjoyed a comeback in the 1990s with games like Bally/Williams’ The Addams Family and machines based on Indiana Jones, Star Trek and other film franchises. There is still a Professional And Amateur Pinball Association (PAPA) and an International Flipper Pinball Association (IFPA) but the best places to be sure of a game are the museums. There is one in Las Vegas and another one in Budapest. There used to be one in Washington DC. 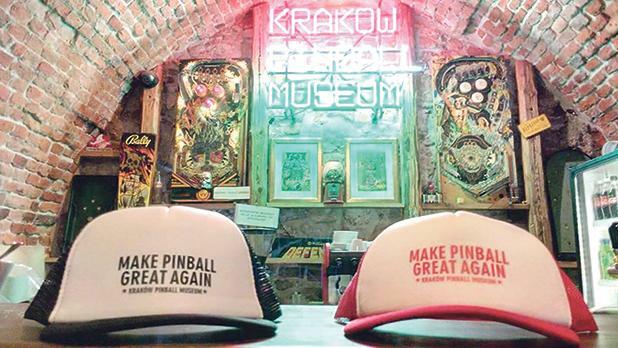 But Krakow’s pinball wizardry museum is the place to go for real retro fun.